Not all coffee shops are created equal, naturally so. 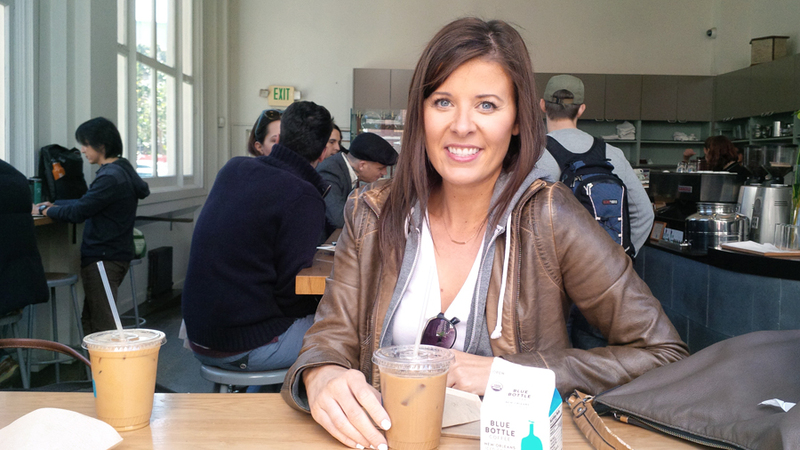 I had a fine time hanging out with Megan at Blue Bottle at the Mint Plaza in San Francisco when she lived here. 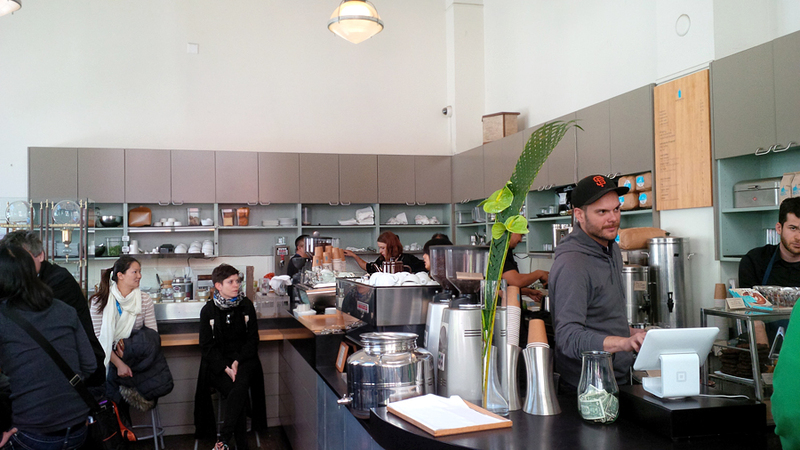 The Mint Plaza location is the only Blue Bottle cafe that serves a full food menu. These photos are from back in April but I still wanted to share the post. 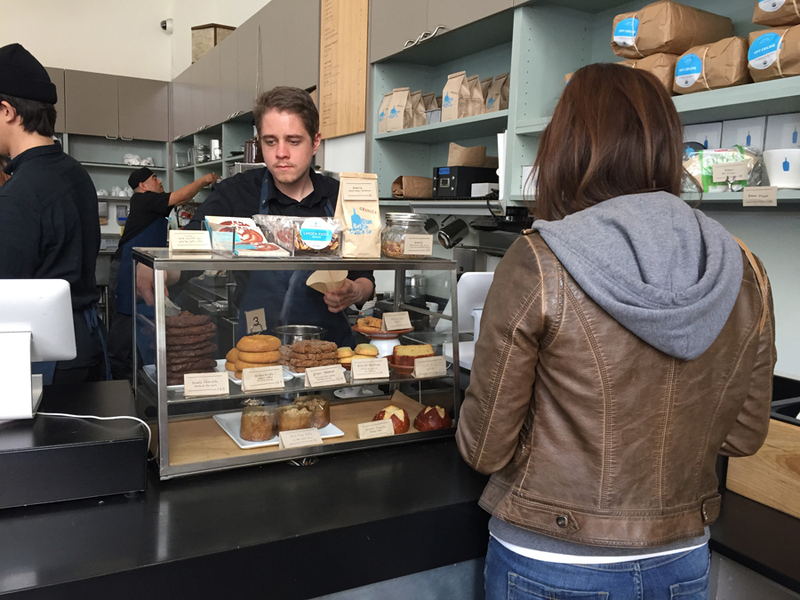 I’m pretty much obsessed with Blue Bottle Coffee now, so much so, I scoped out another Blue Bottle location closer to me in Palo Alto. The staff were incredibly sweet with us, and told us a couple of their favourite (and popular) drinks to order. It was completely packed when we went in there and it’s a small coffee shop to begin with, but we had an awesome time chatting about makeup, and life in general. I miss my bud! That looks like a wonderful shop. I love the atmosphere, and if it’s that packed it must be fantastic. @Stacie @ Divine Lifestyle: Haha! I didn’t take him to that city with me on that particular day. Not to worry, he came along with me to the beautiful Santa Clara Uni campus and explored it. Check out today’s POM friday post! 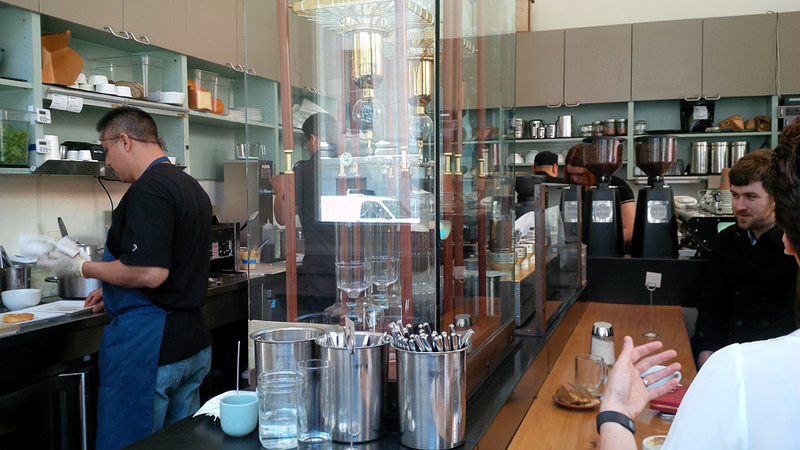 I would love to visit Blue Bottle! I love a good coffee shop, and this one seems like it’s great. I love the friendly atmosphere. Aw this was such a fun day! Your photos came out great. 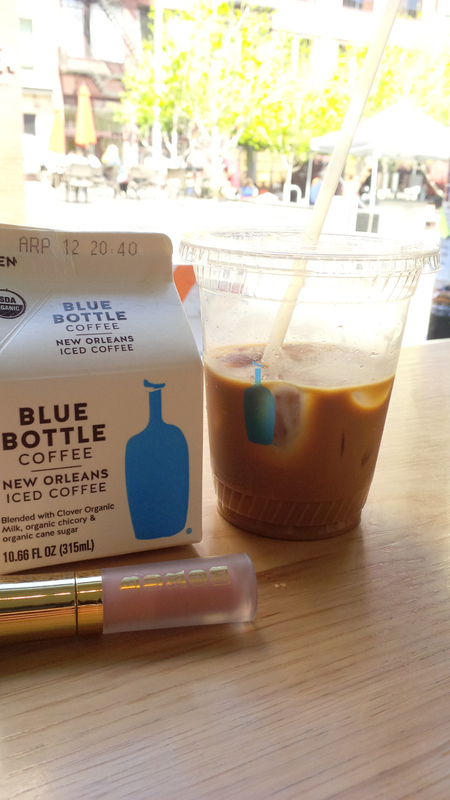 I think that the boxed coffee was the best kind, the regular iced coffee was crazy strong lol MISS YOU! That looks like such a great coffee shop! 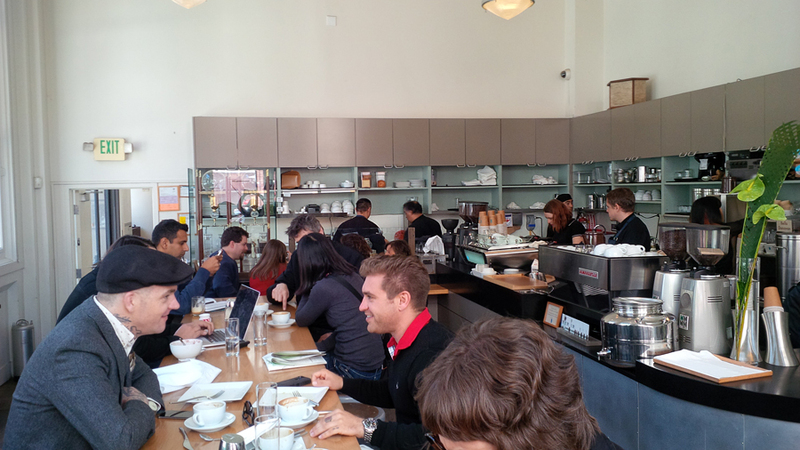 I really enjoy the busy coffee shop atmosphere and this one seems to be especially fun! I could go for some coffee shop time let me tell you! I haven’t been in a good long while. I’m overdue. I love coffee shops that have a great atmosphere and this one looks like it would be fun. It looks like they have some great cookies to eat with the coffee too. I love gourmet coffee but when I want it I have to make it myself. We live way out in the boonies in rural Virginia, so coffee shops of any kind are few and far between. Wow I’ve never been to a coffee shop like this before. It looks really stylish! What a nice place to hang out with a friend. I wish we had coffee shops like this in town. We just having boring ol Starbucks which I still love LOL! desirae young recently posted..2015 Dr. Seuss Birthday Book Bundle for $5.95 & FREE Shipping! This looks like a great place. I miss having a good coffee shop nearby. I used to be so much more productive when I had a coffee shop to call my own! 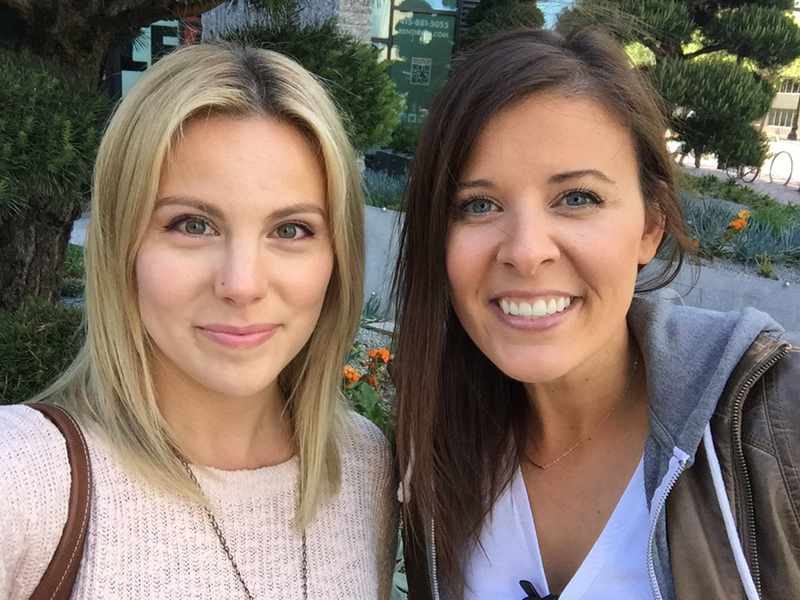 Jaime Nicole recently posted..4 Reasons Why Solo Parenting Can Be Awesome. What a perfectly lovely little shop. 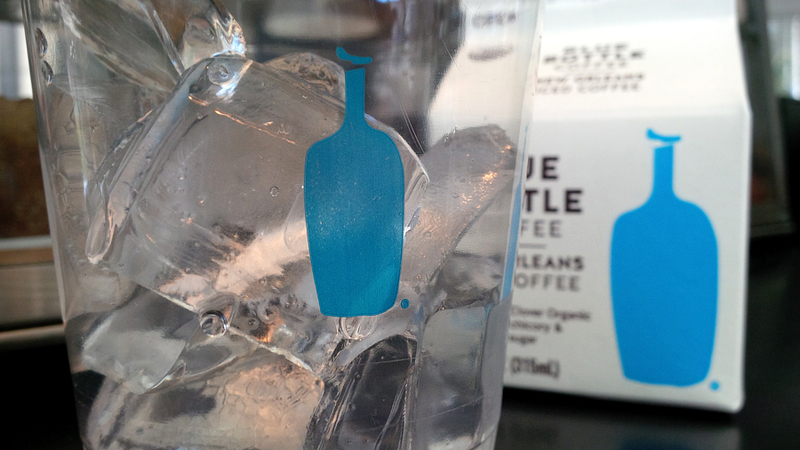 I love the blue bottle logo that’s well-represented throughout the shop in their decor and marketing. I would love to try this place sometime. Wow! What a cute coffee shop. We have one near me and I love stopping by and grabbing a coffee with friends. This look like a very nice and cozy shop. 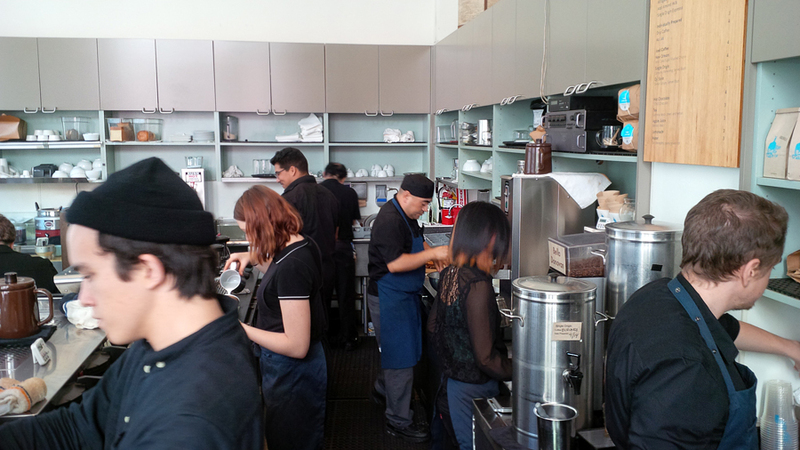 The place is packed, so the coffee must really be good. That looks really good. I love trying new coffee shops. 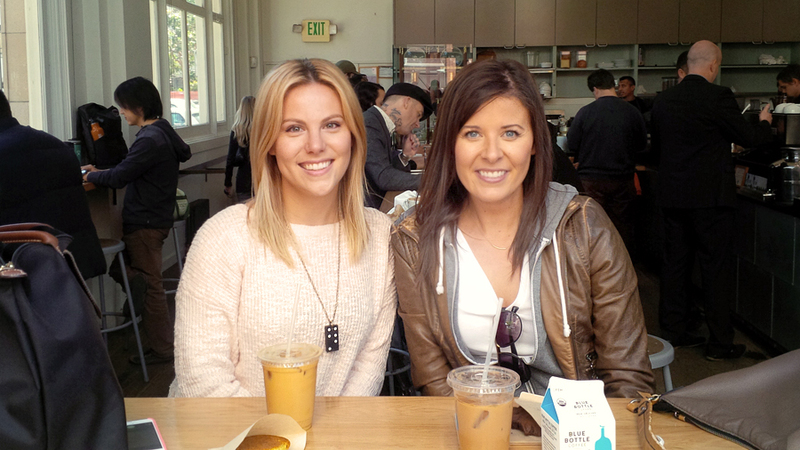 Coffee with girlfriends is fabulous. Wow looks like a neat shop! I’ve never really gone into coffee shops, or explored anything like that around here (mind you, I’m sure they are terrible here anyway) but this looks like lots of fun! Also, you both are stunning! Coffee shops are always so much fun to visit! 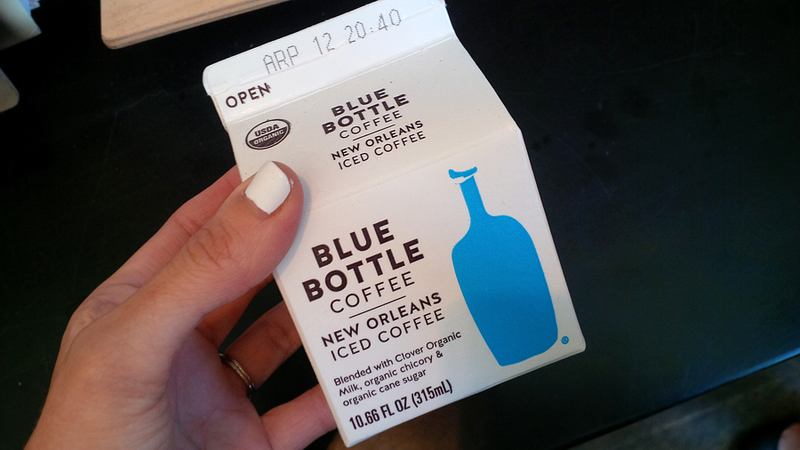 I love that Blue Bottle iced coffee comes in a little milk carton! The hubs and I are coffee addicts. Wish they have that shop here too. I would love to check it out. I want that iced coffee! I am always looking for a good coffee shop. Whether it’s at home or when I travel, I want the best deal on my coffee that I can find. You have found a really good one here. I will have to remember it! 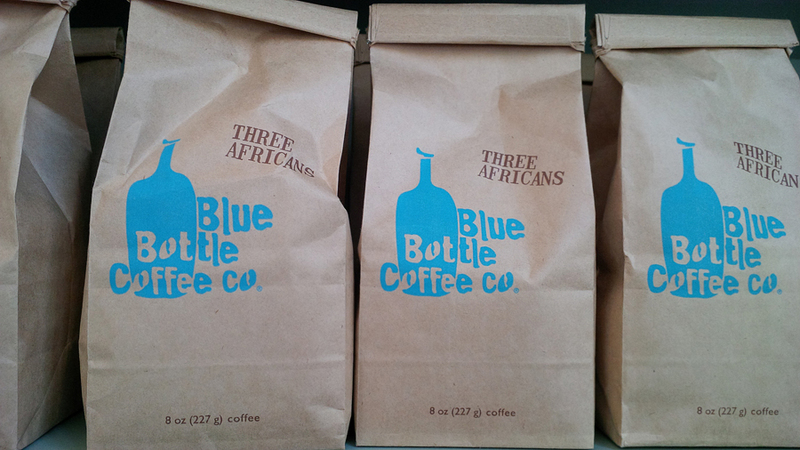 Love Blue Bottle! It’s on my favorites in the city. 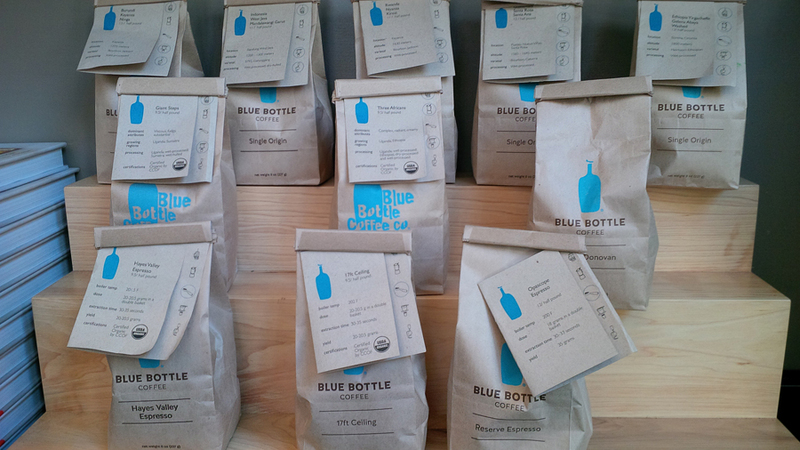 I would like to know the story behind blue bottle. Looks like a crowd-favorite place. You guys look great! I would love to try the iced coffee. I will have to see if there is a location near me. Sounds like a great place. Never heard of them but would try them if they were in my area. I love the logo. I also enjoy ice coffee and think it’s kinda cool that you can even get some to go. It sounds like a great coffee shop. I love a good cup of coffee. I can’t even make coffee at my home anymore because I love going OUT! I haven’t been able to try this one before. Exploring Coffee Shops sounds like such a fun idea! I should totally do that here on the Central Coast!